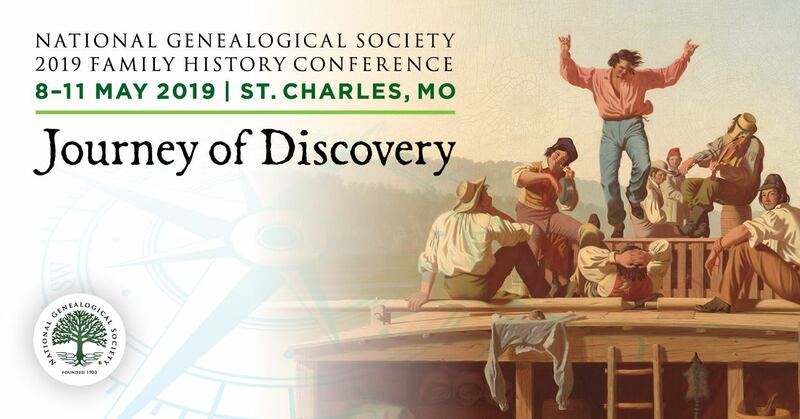 NGS will open registration on Thursday, 6 December, at 10:00 a.m. EST for the National Genealogical Society’s forty-first annual Family History Conference, Journey of Discovery, which will be held 8–11 May 2019 at the St. Charles Convention Center in St. Charles, Missouri. NGS originally announced it would open registration for the 2019 conference on Saturday, 1 December, but made the decision to delay the opening in order to provide full staff and technology support on the opening day. Since this is the first conference registration event on our new website, we want the registration process to go smoothly, so we ask for your patience and understanding as we do further testing. For NGS members visiting the new NGS website for the first time, you will need to reset your password in order to login and register. You may also update your profile in “My Account” in advance of registering. You will find “My Account” in the NGS Store, on the left side navigation menu. We encourage all members to visit the new site as soon as possible and explore the new design and content, and please share it with other family and friends interested in genealogy. If you have family or friends intending to register for the conference who are non-members, they will be required to create a free account so they have a user name and password. If they create a guest profile prior to registering it will accelerate their purchase. Also, visiting the new NGS website in advance offers the opportunity to explore the new features of the website, and information on the conference discount available as a benefit of NGS membership. Questions? Contact Conference Registrar Courtney Holmes or Conference Manager Erin Shifflet. 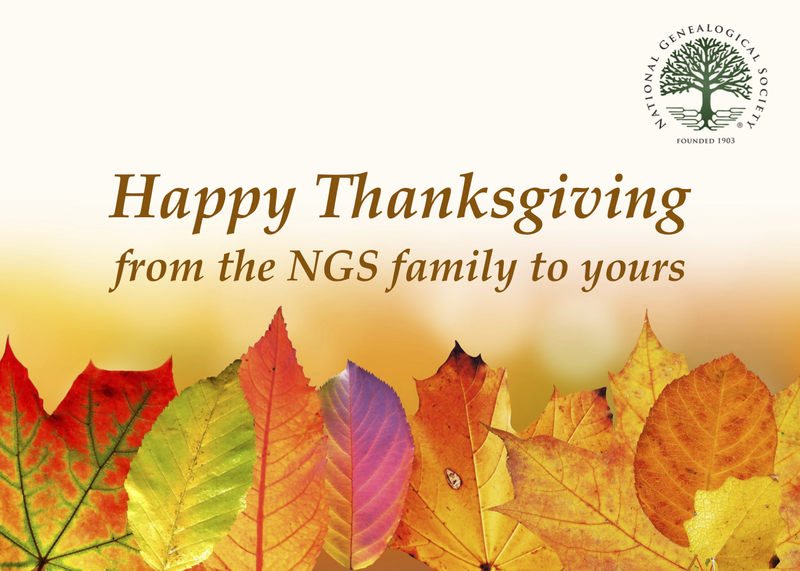 The National Genealogical Society wishes you and your family a wonderful Thanksgiving holiday. At this time of year when we reflect on all we are grateful for, NGS wants to thank all of our members for their continued support throughout the year, and also a heartfelt thank you to the many volunteers who make our success possible. Please Note: The NGS office will be closed from Thursday, 22 November until 9:00 a.m. on Monday, 26 November 2018 in observance of the holiday. Founded in 1903, the National Genealogical Society is dedicated to genealogical education, exemplary stands of research, and the preservation of genealogical records. The Falls Church, Virginia, based nonprofit is the premier national society for everyone, from the beginner to the most advanced family historian seeking excellence in publications, educational offerings, and guidance in research. It also offers many opportunities to interact with other genealogists.